A couple of weeks ago my friends and i had lunch at Fish & Co Mall Taman Anggrek, It was a pleasant experience, it’s our second time coming to the place. The first time i come the place i was a little turn off because all of the menu is fish (doh!) and a little heavy on the price, for a full meal of eat a drink would cost around 12 to 20bucks USD. It’s a little bit pricey because usually i only spend around 1,5$ for lunch at my office (a meal and a juice) if i have gone out, usually never exceed 8 bucks (the cost of living here in indonesia is quite cheap u know). 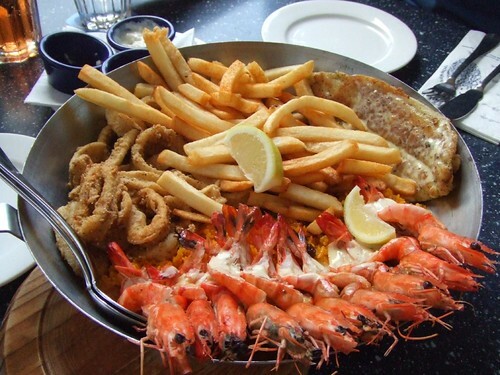 but after seeing the portion of the meal of one dish, its huge! it’s worth of the price and It taste good. 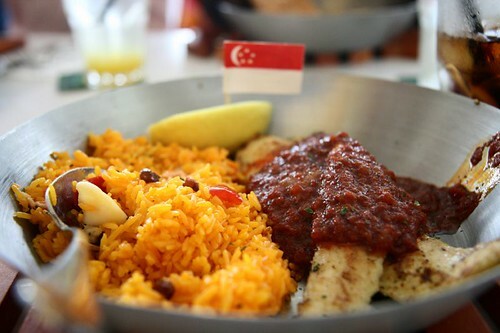 My first time there, i ate black pepper stingray, what a cool name i thought. after i ordered and see the the dish i just remembered that it is a Sting Ray, a family of manta ray, Ikan Pari to be precise. it’s something that i prefer fried not barbecued. 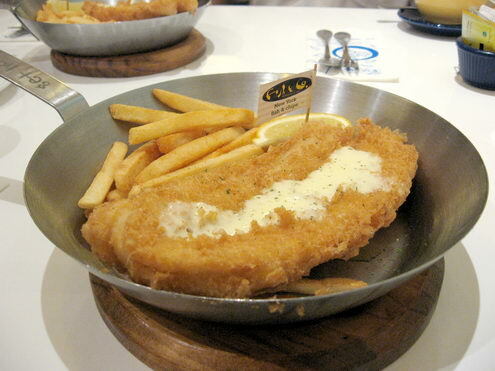 the dish content of two huge slice of stingray, french fries and small portion of veggie. It taste quite good, but the taste of the black pepper isn’t strong enough for me. Sadly i forgot to bring my camera so i haven’t got pictures of it. The second time there i ate fish (salmon?) and chips. i forgot to takes lots picture of it while i ate there, so i search flickr for a couple of menu.